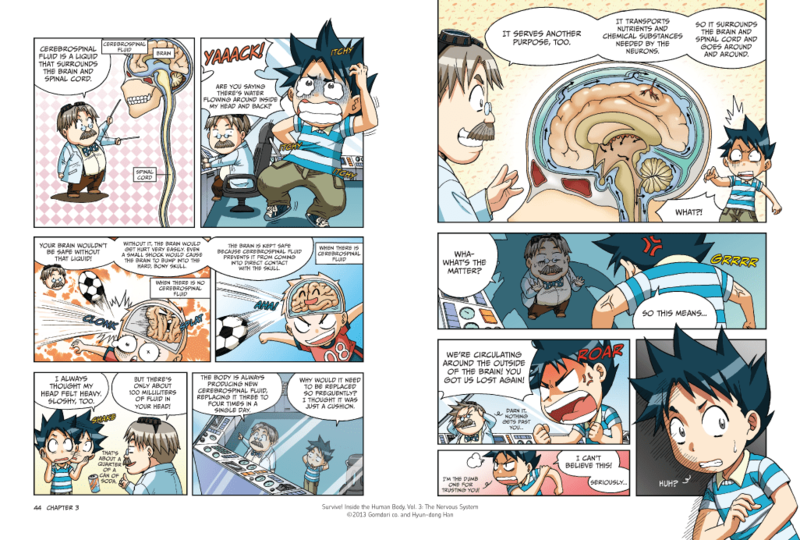 Booktalk: When Geo and Dr. Brain find themselves inside Phoebe’s brain, they must brave shocking electrical signals and navigate a maze of neurons and synapses. Will the dynamic duo finally escape? And what’s the matter with Phoebe, anyway? If… A Mind-Bending New Way of Looking at Big Ideas and Numbers by David J. Smith. Illustrations by Steve Adams. Kids Can Press, 2014. If you’re familiar with If the World Were a Village (also from Kids Can Press), then you’ll understand the context in which If introduces large concepts. etc., until all twelve slices have been accounted for. In each case, care is taken to equate the concept to something with which children will be familiar. This is a great way to place an intangible concept into a simple object that a child can hold within her hand. Suggested for grades 3 – 6. See an interior preview of If at the publisher’s website. Categories: STEM Friday round-up | Tags: Science | Permalink. At Growing with Science blog this week we have been delving into ocean science with great children’s books and activities. 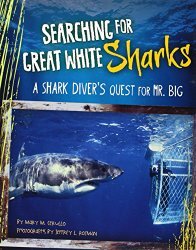 We are rounding out the week with Searching for Great White Sharks: A Shark Diver’s Quest for Mr. Big (Shark Expedition) by Mary M Cerullo and photographs by Jeffrey L Rotman. Great white sharks perhaps top the list for creatures that are topics of misinformation and myth. To help dispel the misconceptions, this book ties the photographs of a world-renowned underwater photographer Jeffrey Rotman with the story of how he took the photographs. As appropriate for children’s nonfiction, interspersed are facts and tidbits about the biology and behavior of great white sharks. Did you know that great white sharks travel all over the world in search of food? Or that they dive as far down as 4000 feet? Want to know more? 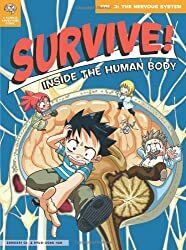 Check our full review at Growing with Science blog. Part of the 4 book Shark Expedition series. Every gardening season in different, and this year things seem to be ripening later than last year. A couple weeks ago we had a bumper-crop of tomatoes and peppers, with melons and pumpkins coming in late. 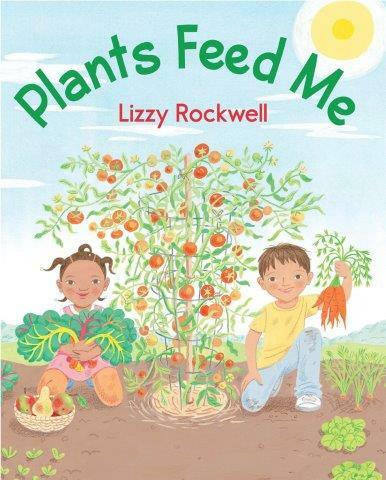 So harvest season seems to be a good time to share a book about garden-fresh fruits and vegetables. Lizzy Rockwell begins with a picture of a child nose-deep in a slice of watermelon. “I am a plant eater,” she writes. Then she takes us on a tour of the garden, showing the different parts of plants we eat: leaves, stems, roots, flowers, bulbs, tubers… and fruits. Everyone knows that apples and blueberries are fruits. But tomatoes and pumpkins? Aren’t they vegetables? Nope. If it’s got a seed, it’s a fruit. Speaking of which, we eat seeds, too: beans, rice, wheat, and nuts. Head over to Archimedes Notebook for some Beyond-the-Book activities and more. by Saul Griffith (Author), Ingrid Dragotta (Author), Nick Dragotta (Author, Artist) and more! 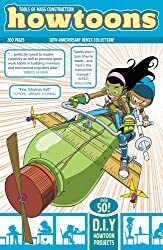 Booktalk: Howtoons celebrates their 10th anniversary with a 360 page remastered collection containing more than 70 projects of the “best of” Howtoons over those years, along with new material, photos, and essays by the creators of the series. 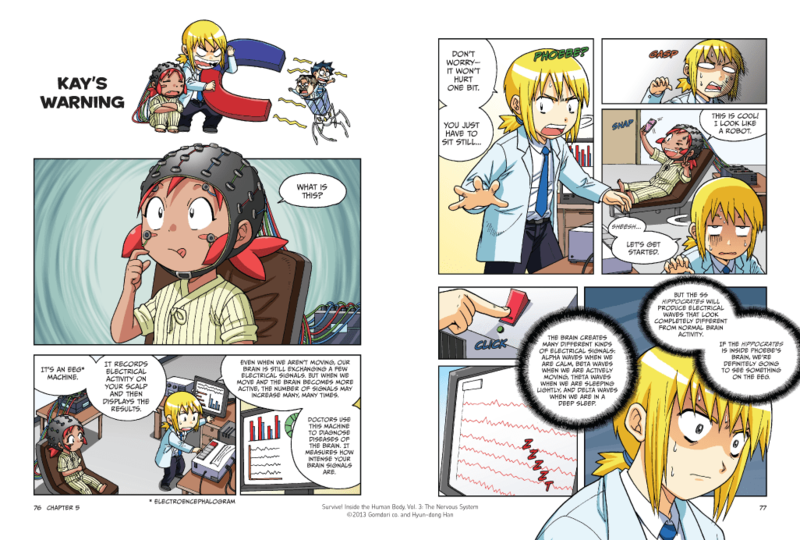 Combining comics and real-life science and engineering principles, Howtoons encourages kids to become active participants in the world around them. Follow Celine and Tucker as they learn through play! Challenged to make something “other than trouble,” this brother-and-sister pair use everyday objects to invent toys that readers can build! See the large scale hovercraft video! “Jeff, have you eaten your homework yet?” I don’t believe my mother ever said those words. That’s a shame, because I would have enjoyed following the recipes in this book more than some of the book reports and dioramas (Old school pain) I labored over. Starting off each chapter is a brief overview of the science behind the recipe that follows. The section titled “Atomic Popcorn Balls” begins with a lesson on molecules- units of two or more atoms. Inside each atom is a nucleus with protons and neutrons. Elements are composed of only one type of atom. Think about water. You have two hydrogen atoms along with one oxygen atom. Now think about using food coloring along with marshmallow coated popcorn to illustrate this scientific fact. I think popcorn is an excellent conduit for teaching about atoms. Take some toothpicks and connect different color pieces of popcorn and you have a fun model of a molecule. Want to illustrate miscible and immiscible (liquids that can and cannot be combined) and density? Create a density dressing! How about teaching chemical processes like oxidation? You need to make Invisible Ink Snack Pockets. Take pizza dough and put toppings on top. Fold over the dough and spread a paste, made of baking soda, sugar, and water, over the dough. Then you can write a message on the dough. When you bake the pockets, your message will appear! Eat Your Science Homework is a fun way to teach scientific processes. If you are looking for ways to keep your child’s mind sharp during a long weekend or the summer, this would be a great resource. It’s back-to-school time, so grab your lunch bucket, your notebook and your number-2 pencil and hustle out the door so you don’t miss the bus. As you head into the classroom, did you ever wonder how animal kids learn? They don’t go to school. Do they even have teachers? It turns out that polar bears and penguins and chimps and elephants – animals of all kinds – do have a lot of lessons to learn. Animal Teachers provides a window into the wild classrooms of the animal world. Young otters have to learn how to swim, and joeys (baby kangaroos) need to learn some self-defense skills. Fortunately their moms teach them these skills. Other youngsters learn by copying what the adults around them are doing. In this book we see young animals learning how to run, fish, and communicate. 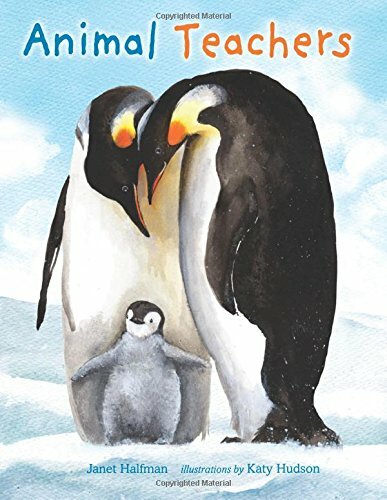 This is a fun book for kids just starting school – and kids who are learning at home – that asks: what sort of things are you learning, and who are your teachers?